Aarhus BSS (School of Business and Social Sciences at Aarhus University) is an internationally oriented business school that offers a wide range of study programmes within the fields of business, economics, business communication, law, psychology and political science at Bachelor's, Master's and PhD level. More information available at AU International Centre. 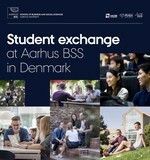 Are you an Aarhus BSS student? And do you want to study abroad? Here you can find out more about your study abroad opportunities.